We’ve built thousands of pools over the past 60 years. 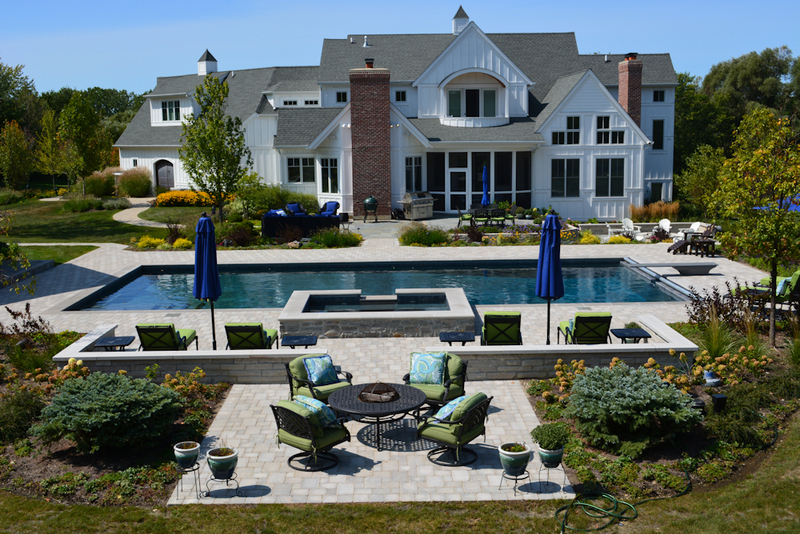 Each time we start a new swimming pool project, we ask homeowners a lot of questions. This is to make sure that we know what their property, budget, and wish list will allow. We take pride in collaborating together with our customers to ensure the highest quality products, construction experience and practices are used. 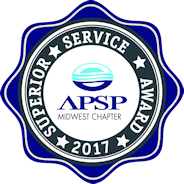 In 2018, seven of these pool projects were recognized by the Midwest Chapter of The Association of Pool & Spa Professionals as Gold Standard of Excellence Award Winners. The competition invites entries from swimming pool and spa companies in 14 states (Illinois, Iowa, Wisconsin, Ohio, Kentucky, Indiana, Michigan, Minnesota, North and South Dakota, Nebraska, Kansas, Missouri, and Tennessee). 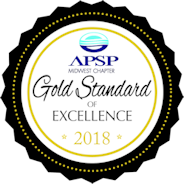 Projects that displayed adherence to APSP standards and achieved the highest scores of all entries from the 14 states were awarded the 2018 Gold Standard of Excellence. 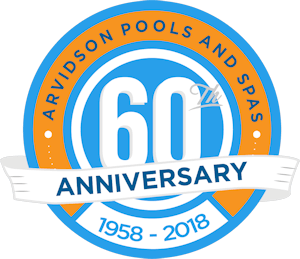 Arvidson Pools & Spas won seven of the 42 awards received. 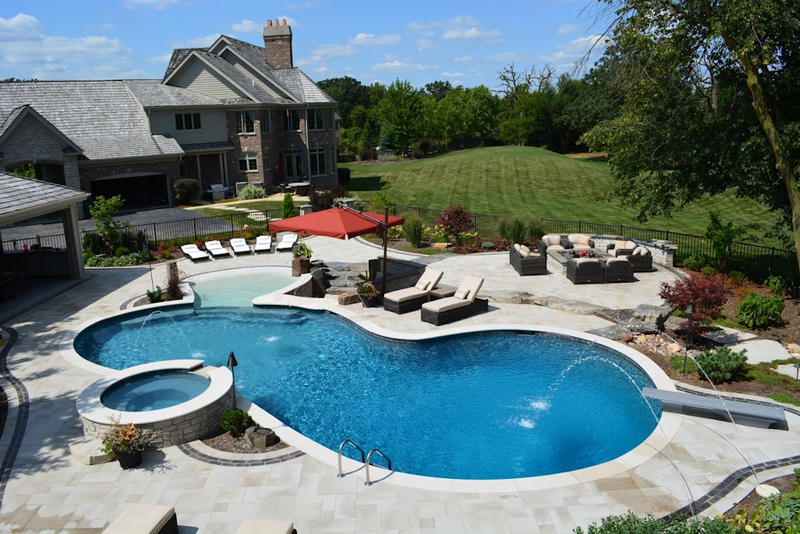 Featuring a natural stone waterfall, enlarged tanning ledge, attached spa, and slide, this St. Charles pool seamlessly blends into the home’s lush landscaping and natural construction materials. We contoured this pool beautifully with multiple fountains, a generous deep end and diving board, attached spa, swim up bar, and beach entry. 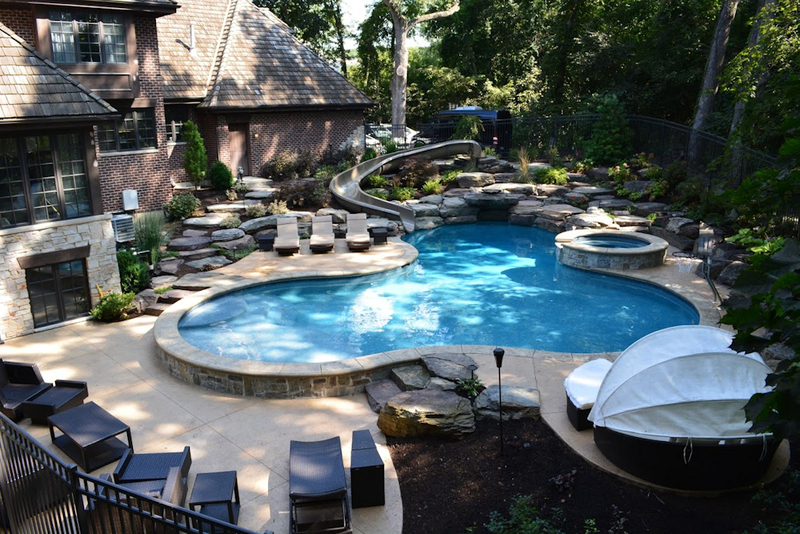 This pool compliments the outdoor living spaces. The homeowners enjoy a conversation area around a firepit, an enclosed cabana with changing rooms, and large lounge areas. 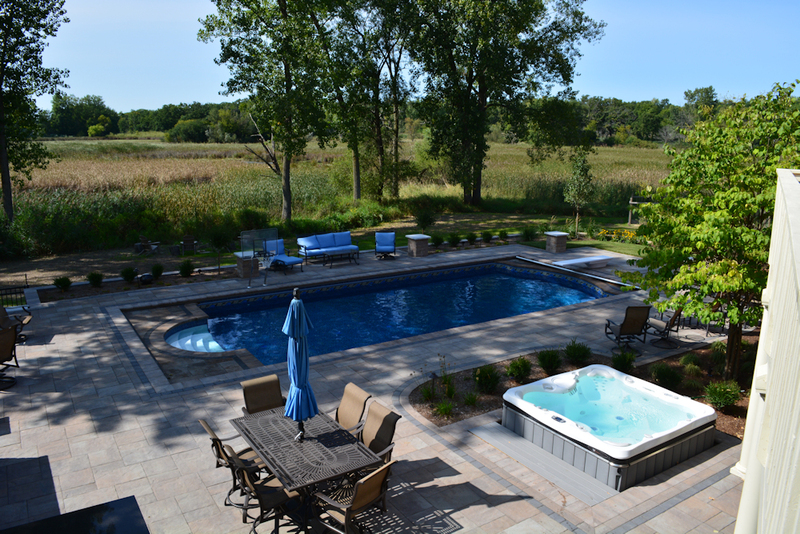 This classic rectangular design with a gradual step down entry also features an attached spa, diving board, automatic cover, and well-planned layout with stone pavers that incorporate several conversation and lounge areas. The well-groomed grounds and multi-level deck offer a unique and beautiful setting for this award-winning pool. In addition to a tanning ledge, this pool features beautifully curved steps, diving board, and automatic cover. 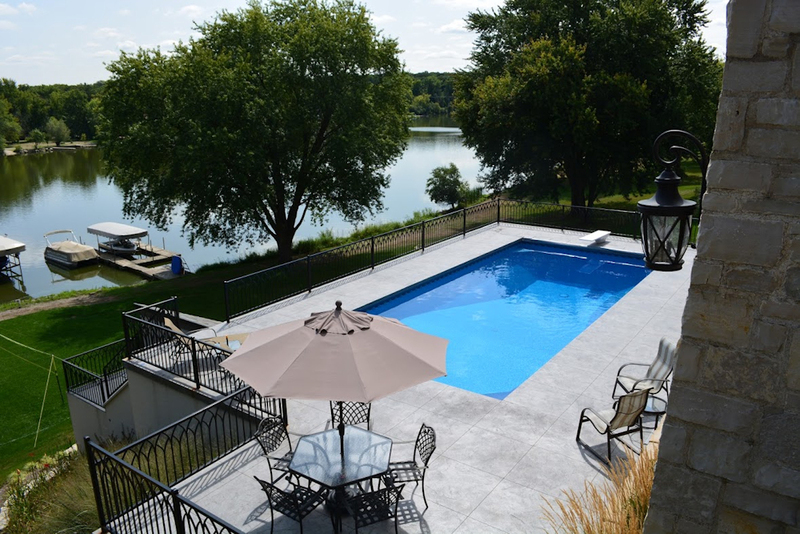 This home located on the Fox River, provides a tranquil spot to enjoy the beauty of the river and the water activities from this elevated pool deck. Special features include a corner seat and corner walk down steps, diving board and iron work fence. A large tanning deck and curved steps are just the beginning of what makes this pool special. 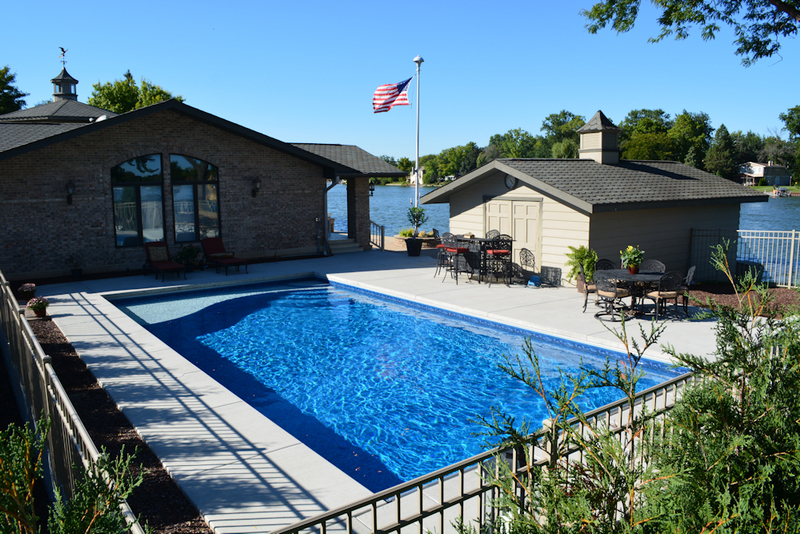 In addition to the privacy fencing and access to the boat house, the pool features a beautiful view of the Fox River and easy access to the home. Nestled in the prairie, this backyard oasis includes a beautiful pool. The incredible amenities include a large tanning platform, custom stairs, diving board, and automatic cover. We added a Caldera Spa partially submerged for easy access to complete the resort-like atmosphere. 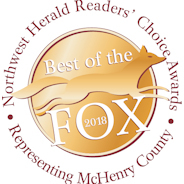 We hope you enjoyed this peek at our award-winning pools from 2018. Are you ready to add a pool to your backyard? 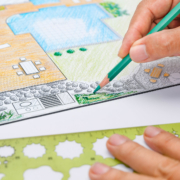 Give us a call, and we’ll create a private oasis in your backyard. 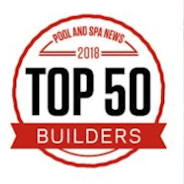 Special thanks to the Association of Pool & Spa Professionals (APSP), an industry trade association with over 3,500 member companies, including swimming pool builders, pool service companies, retailers, distributors and manufacturers. The Association promulgates design and construction standards, and American National Standards Institute (ANSI) approves them. It also offers the industry extensive training programs leading to certification in swimming pool building and service. For information regarding the Association visit www.APSP.org.